File photo DCSR. Cave Point County Park. 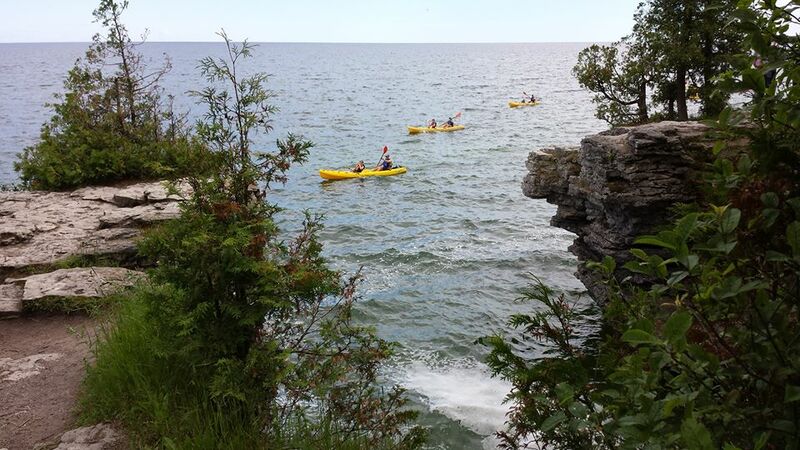 DOOR COUNTY – Two kayakers died Friday after capsizing near Cave Point County Park. The victims are a 21-year-old man from Clintonville and a 29-year-old man from Sturgeon Bay, according to NBC26-TV. Neither man was wearing a flotation device, according to the Door County Sheriff’s Office. The water temperature was 43 degrees. The Jacksonport Fire Department was called about 11:30 a.m. Friday, April 28, 2017 for a report of boaters in the water. The U.S. Coast Guard and Sturgeon Bay Fire and Rescue also responded. The men were transported by Door County EMS was waiting to the Door County Medical Center in Green Bay. The Door County Sheriff’s Office was notified about 2 p.m. that the men had died.